'Ugh, not another team building,' your disgruntled employee says. Team building events are meant to be fun and enjoyable, not just educational. Over here at Culturally, we know that team building doesn't have the greatest rep! But we're here to break the stereotype and bring you a variety of activities that not only serve to improve teamwork and communication, but also bring plenty of laughter and memories to look back upon! Transport your team to another dimension! Virtual reality experiences test your team’s problem-solving and communication skills. The elevated and immersive gaming experience comes with such a wow factor, it will keep your team talking for years to come! 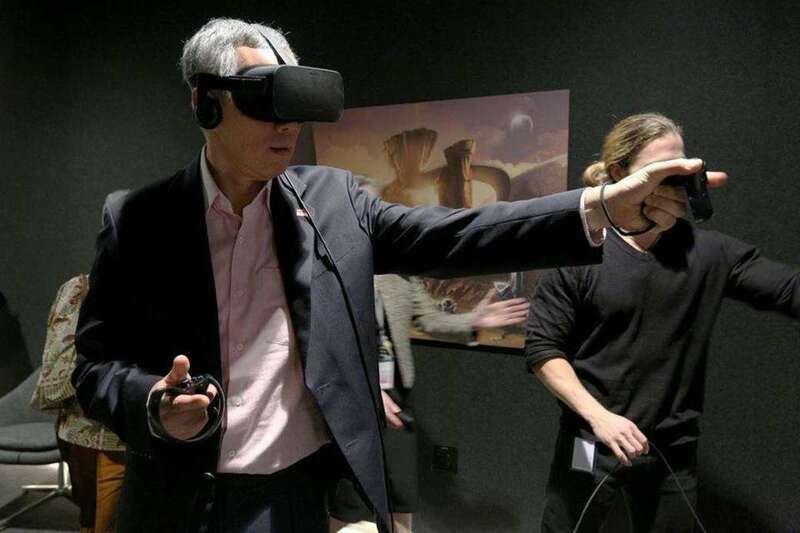 We love V-Room located in JCube, it is by far the cheapest VR arcade in Singapore (hooray for the company's wallet), at just $12 per person per hour on weekdays, and $15 per person per hour on weekends! Not to mention, V-Room has a wide selection of games to choose from – puzzle games, action games, horror games and many more! Turn your office into a battleground and wage warfare, where you have to come up with strategies and work together to avoid (virtual) death! As children, we are encouraged to play as it builds our creativity, problem-solving skills and so much more. So why do we forget about it once we're adults? Did you know that incorporating play into the workplace can lead to more creative, adaptable workers and teams? Definitely not a traditional team building activity, a Nerf battle is perfect for injecting some fun and excitement into the workplace, while fostering collaboration and out-of-the-box thinking! Not to mention, it's also great exercise and helps everyone to flex their competitive muscles. This one is for all the adventurous teams out there! Indoor skydiving is sure to get your team pumped up. At iFly Singapore, you can experience skydiving and flying without any of the risks, gifting your a team a safe yet exhilarating adventure! Not only will it be a new experience, you will also need each other’s support to brave that leap of faith. iFly Singapore offers team building packages, and it's a great environment for building team spirit and trust between team mates. The customized flying experience will also help your team overcome fear and instil confidence! Cooking is an activity for the masses, regardless of age, gender and where you stand in the company. It creates an opportunity for team members across the hierarchy to gather and achieve a common goal of producing a fantastic meal that everyone can share! Not to mention, everyone needs to eat. Especially in Singapore, a city filled with foodies, a culinary adventure is something everyone can get behind. 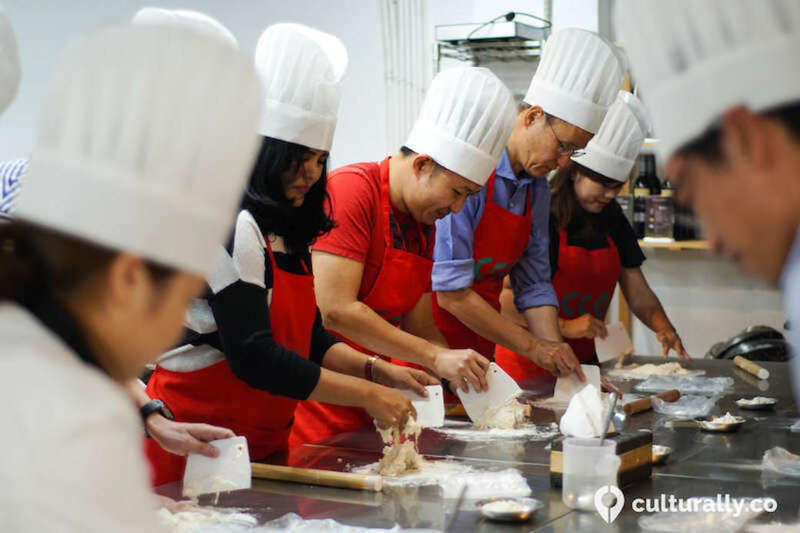 Whether you're whipping up delicious Sri Lankan fare, creating Japanese sushi bentos or making traditional Kuehs, cooking is something that will have everyone feeling like they were a part of the success, instead of just one or two leaders! Here at Culturally, we love customizing unique and fun team building activities to tailor fit your team! Contact us to find out more, and don't forget to follow us on Facebook and Instagram!